Hi everyone and welcome to my new followers. 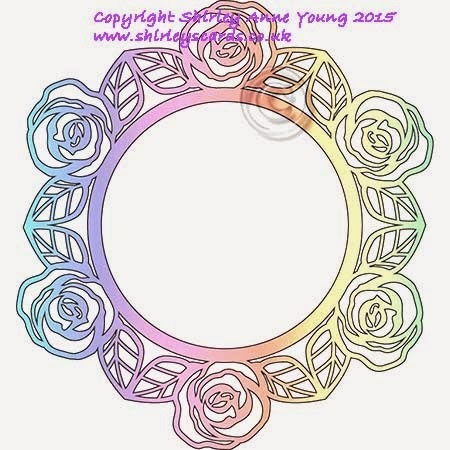 Today I have a freebie rose design which you can use either as a topper or frame. It is quite delicate and some of the parts are quite small so take care when lifting it from your carrier sheet. I cut it on 160 gsm card as I think that is an ideal weight for this sort of design.